When you are running a business, it’s easy to forget about things like your building’s fire protection systems. The importance of adhering to fire code recommendations can never be underestimated. They not only ensure that those in a workplace or home are safe, but they also make sure that insurance policies on a building are not compromised. Here is a list of a number of common fire code violations that can be easily avoided. Fire Extinguishers – All fire extinguishers in a building or place of work should be regularly refilled and maintained by certified agents. EXIT Signs – All exit signs must be illuminated and placed in positions where they are easy to notice should an emergency occur. Any bulbs that burn out must be replaced as quickly as possible. Extension Cords – In most commercial facilities, extension cords are either prohibited or are only allowed to be used temporarily. Extension cables must not be connected into each other and should never be attached to permanent fixtures or pass through holes in walls. Clearances – Electrical control boxes of any type must have a clearance diameter of at least 36 inches. Placing furniture, equipment or any other obstruction in access areas to electrical sources is a common fire code violation that can be easily remedied with due care and attention. Combustibles Stacked Too High – Sprinkler heads must have a clearance of 18” from any materials, and buildings without sprinklers must have a 24” clearance to the ceiling. Rated Enclosures – Any rated enclosures (examples: doors, furnaces, water heaters, wires, etc. ), must not have any holes in them. Fire Doors – Fire doors can help to contain heat and smoke in the event of a fire. They include doors in stairwells, between offices and warehouses or shops, and doors leading to storage, electrical, or laundry rooms. Any damage to these doors must be repaired immediately. The doors must also be able to close and latch by themselves. Leaving fire doors wedged open to promote easy access or exit points to a building is prohibited. Blocked Exit Paths – Hallways, stairwells, doors, and other means of leaving your building must be clear of obstructions. Never store combustible items or materials in exit paths. Keep doors to hallways and stairways closed; this prevents smoke and fire from entering escape routes. 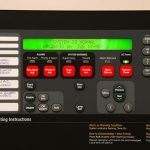 Blocked Fire Protection Devices – Fire alarm panels, sprinkler heads, standpipe connections, and any other components of your fire protection system must remain easily accessible and free from storage at all times. Blocked Fire Department Connections and Fire Lanes – outside, make sure nothing blocks critical areas of your building. Covered Electrical Outlets – Any significant electrical outlet must remain covered. This applies to junction boxes, circuit breaker panels and any type of outlet box. Fire Alarms – All alarm systems must be tested on a regular basis with a written record of the tests kept. These tests can include, but are not exclusive to, alarm boxes, batteries and sound devices. Smoke Detectors – Smoke detectors provide another common fire code violation. 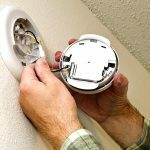 Homeowners and businesses are obliged to ensure that all smoke detectors have charged batteries and be in full working order. Self-Closing Devices – All fire doors must be fitted with a suitable self-closing device and these must be regularly maintained to ensure they are in good working order. Storage of Flammable Materials: There are limitations to the kind of flammable materials that may be stored, their quantities, and their locations. Contact your building inspector to find out the specific regulations for your area. Before your next fire inspection, call Fire Control Systems! We can help make sure everything is up to code so you’ll pass your inspection and avoid any fines or rush repairs.